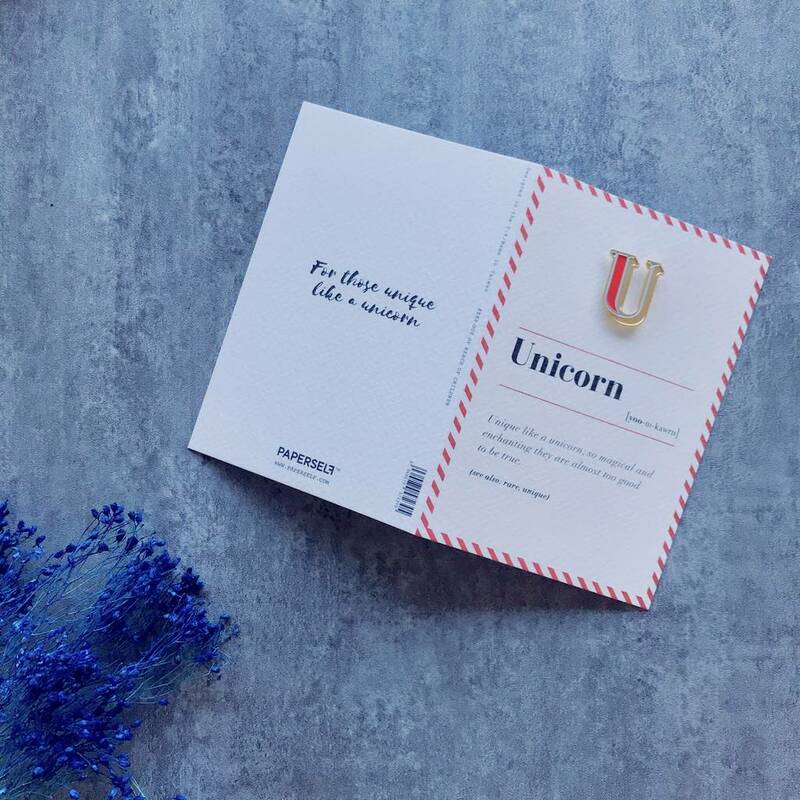 Letter U enamel pin badge and Unicorn greeting card! 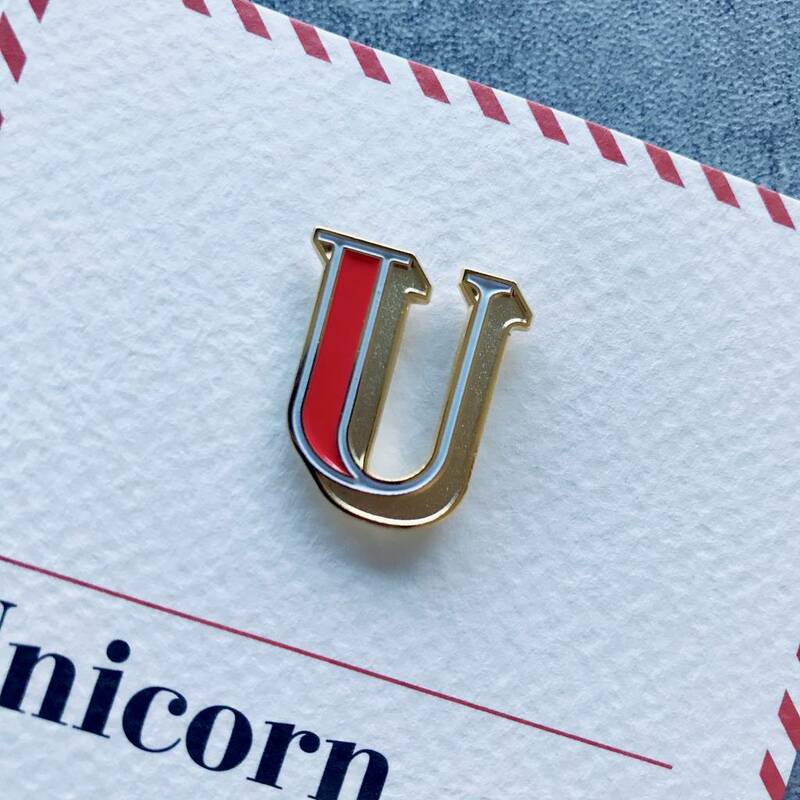 This luxury letter ‘U’ enamel pin badge comes with a personal greeting card making it the perfect gift for a friend or pin collector! Each card has a personalised definition and comes complete with an envelope so it’s ready to be sent! 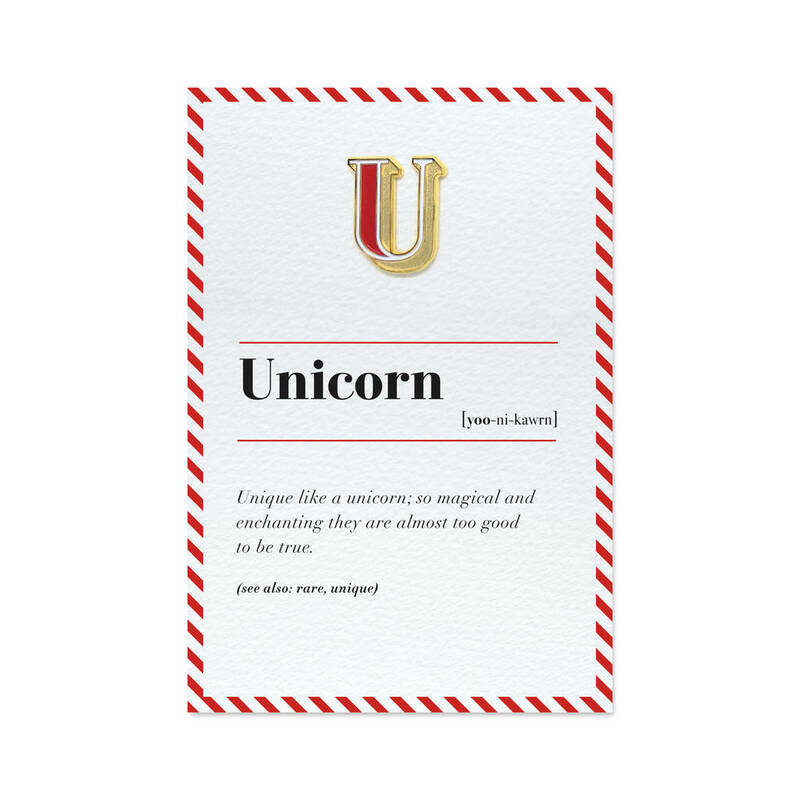 Unique like a unicorn; so magical and enchanting they are almost too good to be true. Choose your favourite letter or pick a card that best represents you or a loved one! 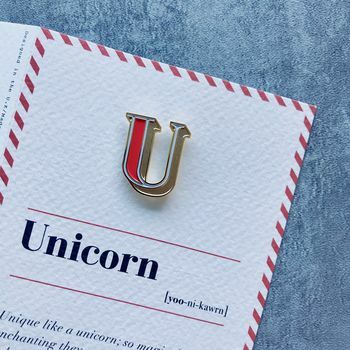 Wear your pin brooch with pride! 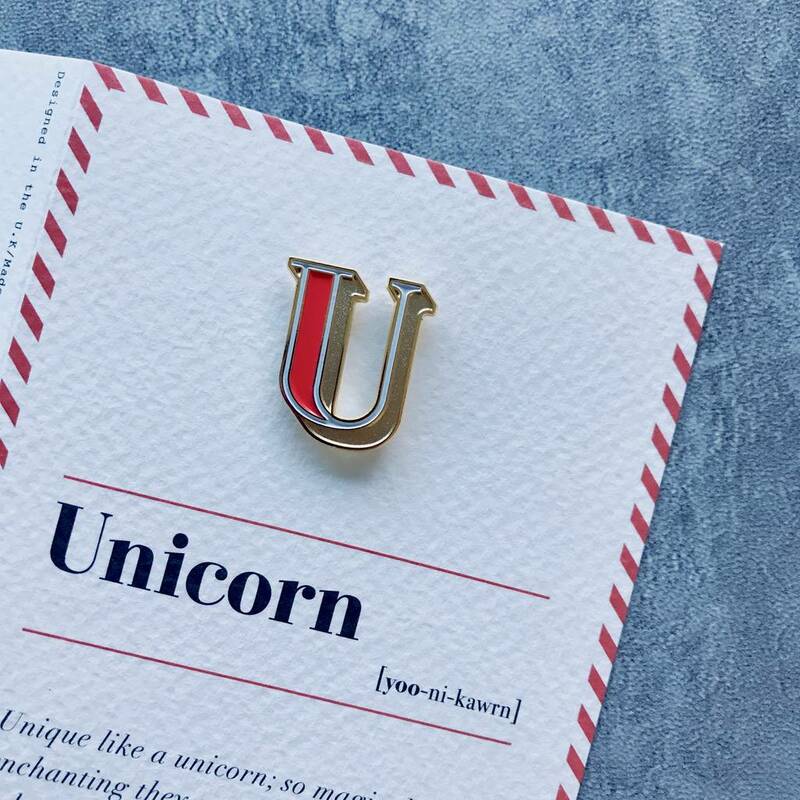 Affix to your lapel, back pack and more! The pin badge is made from pressed copper and hand-coloured enamel. Card size / approx. 85 x 125 mm.